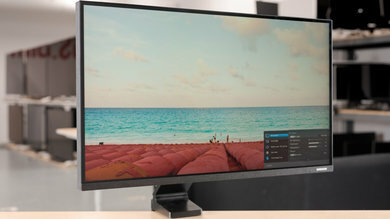 Although larger monitors have become more popular in recent years, there is still a lot of demand for smaller, 24-25" monitors. 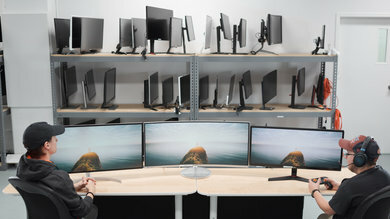 Whether you just want a monitor for a small desk or are looking to make a multi-monitor setup, there is a lot of choice in these sizes. 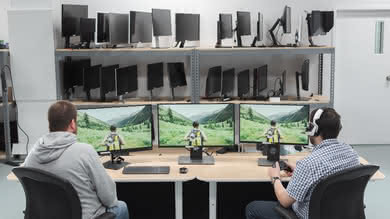 From basic office monitors to the best gaming monitors, there is something for everyone. 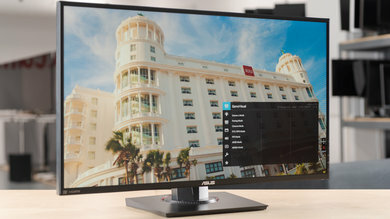 We've reviewed 13 monitors that are available in these sizes, and below are our recommendations for the best 24-25 inch monitors to purchase in 2019. 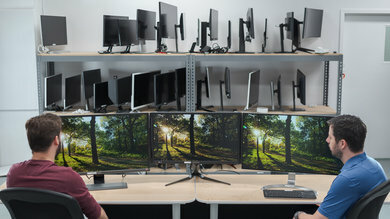 Check our recommendations for the best monitors under $200, the best 27 inch monitors, and the best 28-32 inch monitors. 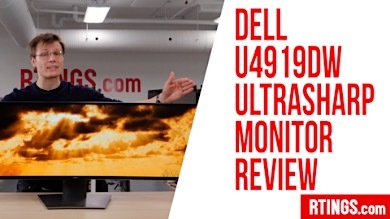 The Dell U2518D is the best 25 inch monitor that we have tested so far. 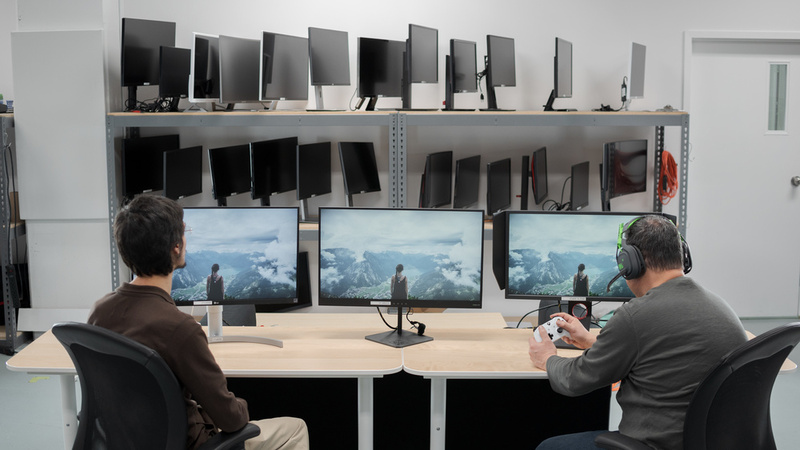 The U2518D is a very good 25" monitor with a 2560x1440 resolution, which is great for multitasking or a more immersive gaming experience. 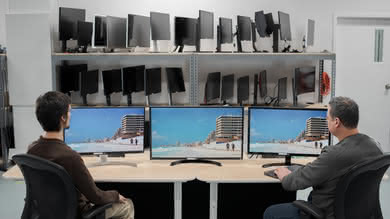 It is a versatile monitor with wide viewing angles and an easy to adjust stand with great ergonomics. 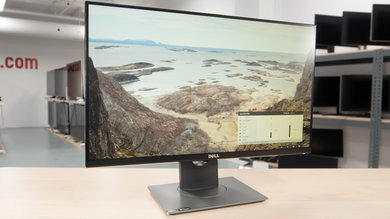 The Dell U2518D delivers good overall picture quality, with great peak brightness, wide viewing angles, and excellent out of the box color accuracy. 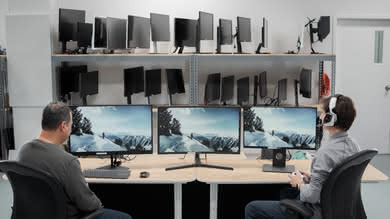 It has decent motion handling, with a fast response time and nearly flicker-free backlight, but the lack of variable refresh rate support and limited 60 Hz refresh rate may disappoint more serious gamers. 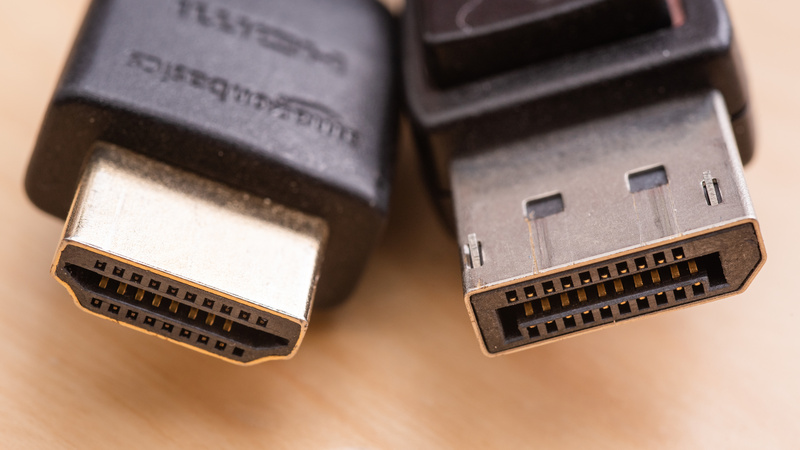 The U2518D supports HDR, but this doesn't add much, unfortunately, as it can't display a wide color gamut. 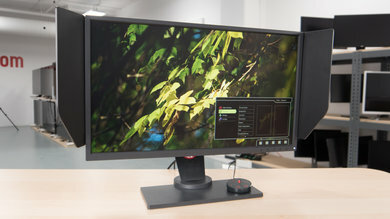 Overall, though, it is a very good monitor that should please most people. 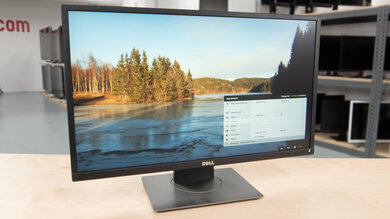 If you like the versatility of the Dell U2518D but are looking for something a bit cheaper, check out the Dell P2417H instead. 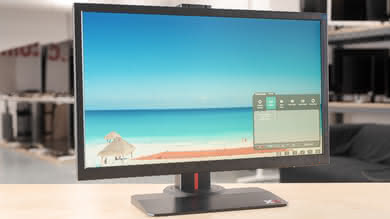 The P2417H has a slightly smaller 24" 1080p screen, which is still great for most people. It has a nearly identical stand to the U2518D with excellent ergonomics, making it very easy to adjust to an ideal viewing position. 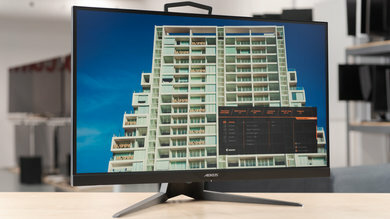 Unlike the U2518D, the smaller model doesn't support HDR and isn't as bright. 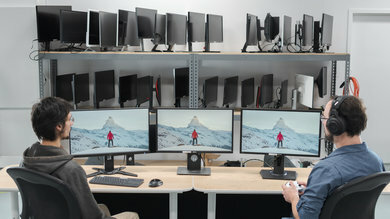 If you're looking for a gaming monitor, check out the Dell S2417DG. 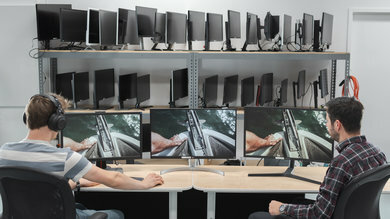 It's the best 24 inch monitor for gaming that we have reviewed so far. It has some excellent gaming features, including a fast 144Hz refresh rate, an incredibly fast response time, and NVIDIA G-SYNC support. 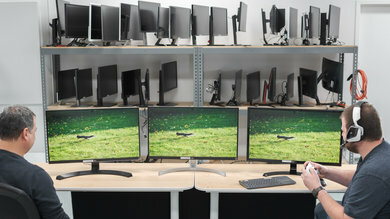 Like most Dell monitors, it has a good design with excellent ergonomics. 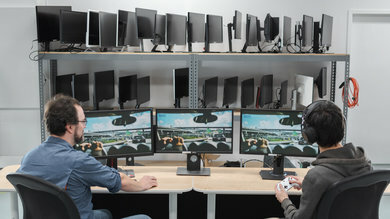 The stand can be easily adjusted to the ideal viewing position. It lacks the flare that is common on many high-end gaming PCs, instead opting for a clean, professional look that fits in anywhere. Unfortunately, it uses a TN panel, which isn't great for a dark room, as it has a poor contrast ratio and bad black uniformity. 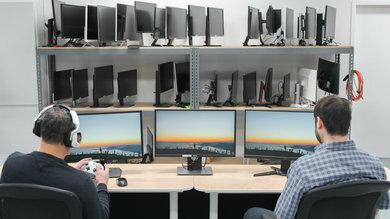 Unlike the IPS panels more commonly found on gaming monitors, TN panels don't have good viewing angles. Because of this, even when viewing from directly in front, the edges of the S2417DG might appear non-uniform. If you have an Xbox One or PC with an AMD Graphics card, the BenQ Zowie XL2540 is the best FreeSync alternative that we've tested so far. It is an excellent gaming monitor, thanks to the incredibly fast 240Hz refresh rate and outstanding pixel response time. 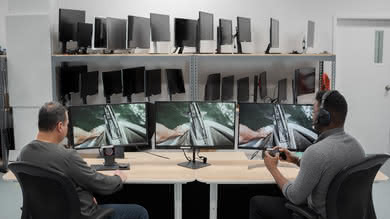 It also supports FreeSync over DisplayPort and HDMI, and has an incredibly wide VRR range, ensuring you always get a smooth, tear-free gaming experience. It has outstanding low input lag, which is great for even the most advanced gamers. Overall, the XL2540 is a decent monitor with excellent gaming features, but it isn't without its flaws. 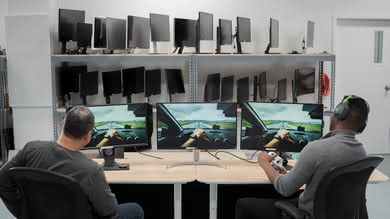 The 1080p resolution might disappoint some gamers, and it isn't ideal for multitasking. It also doesn't look as good in a dark room, and the image degrades when viewed at an angle. 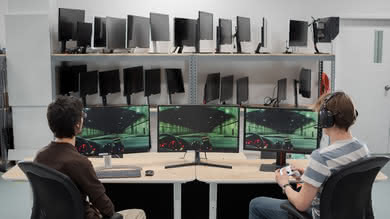 If the Dell S2417DG is too expensive for you, the ViewSonic XG2402 is a cheaper gaming alternative. It has an excellent 144Hz response time and FreeSync support, which is great for Xbox One S/X gamers. 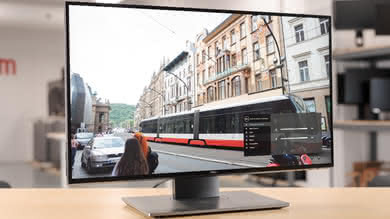 Motion looks crystal clear on the XG2402 thanks to the incredibly fast response time that produces very little motion blur. It is also free of PWM-flicker. Unfortunately, like the Zowie XL2540, the XG2402 has a TN panel that doesn't look as good in a dark room and has narrow viewing angles. 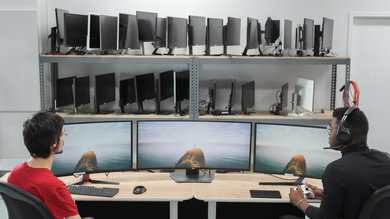 Our recommendations are based on what we think are the best 24 inch and 25 inch monitors currently available. They are adapted to be valid for most people, in each price range. 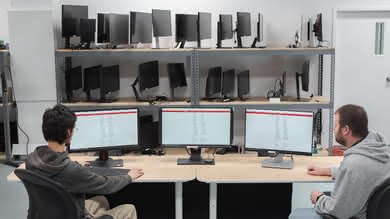 Rating is based on our review, factoring in price and feedback from our visitors.